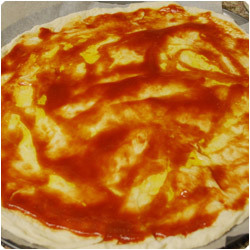 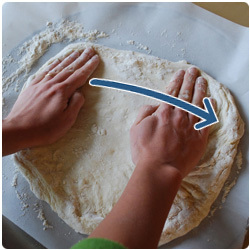 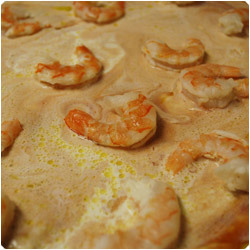 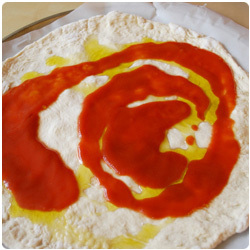 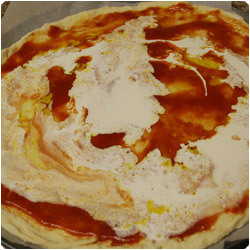 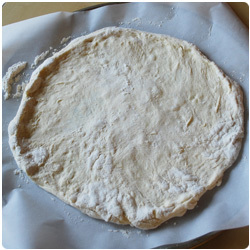 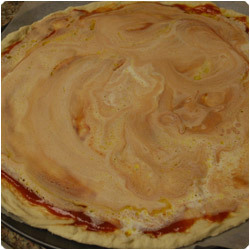 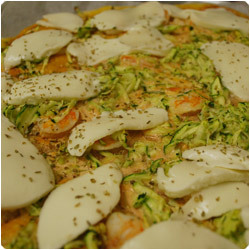 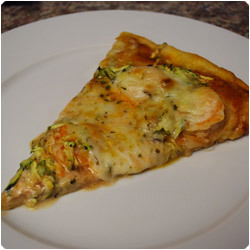 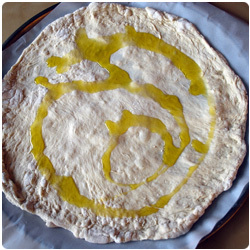 Pour the whipping cream ot top of the pizza and spread it with the tomato sauce. 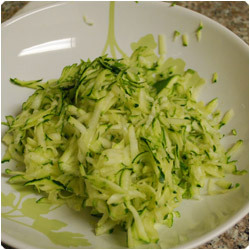 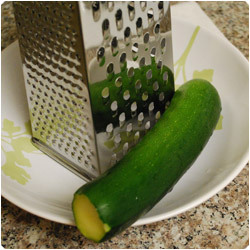 Grate the zucchini. 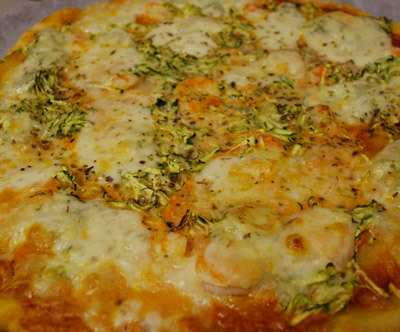 Place the shrimp on top of the pizza. 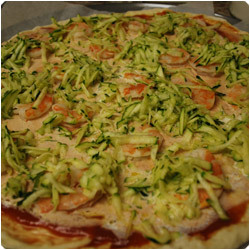 Cover with the zucchini. 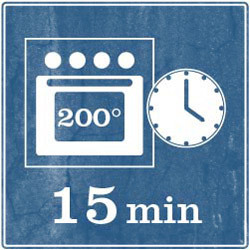 Cook in the oven at 200°C (390F) for 15 min. 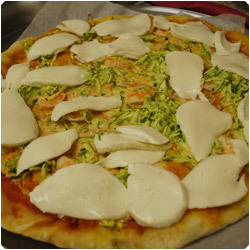 In the meanwhile slice the mozzarella. 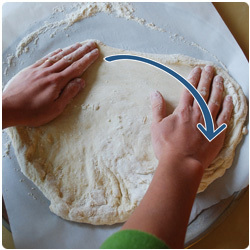 Cover the pizza with it. 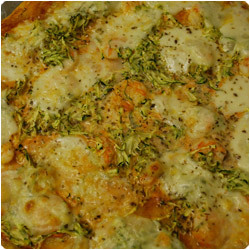 Sprinkle oregano on to and cook again in the oven at 200°C (390F) for about 10-15 min. 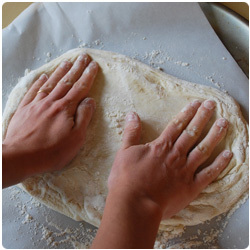 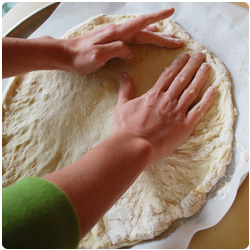 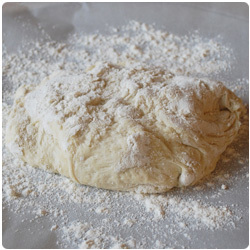 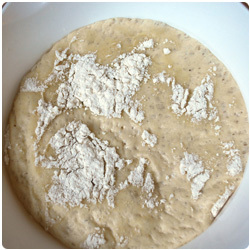 Until the crust is cruncy.